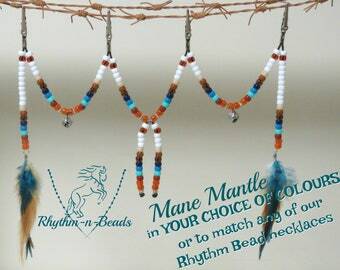 PLEASE READ BELOW & BE SURE TO PROVIDE THE NECESSARY(Starred*) INFORMATION TO COMPLETE YOUR ORDER. 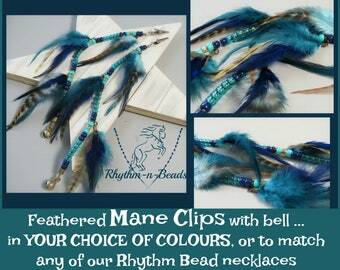 ***This listing is for one CUSTOM pair of R-n-B's Beaded Mane Clips with added Ribbons. 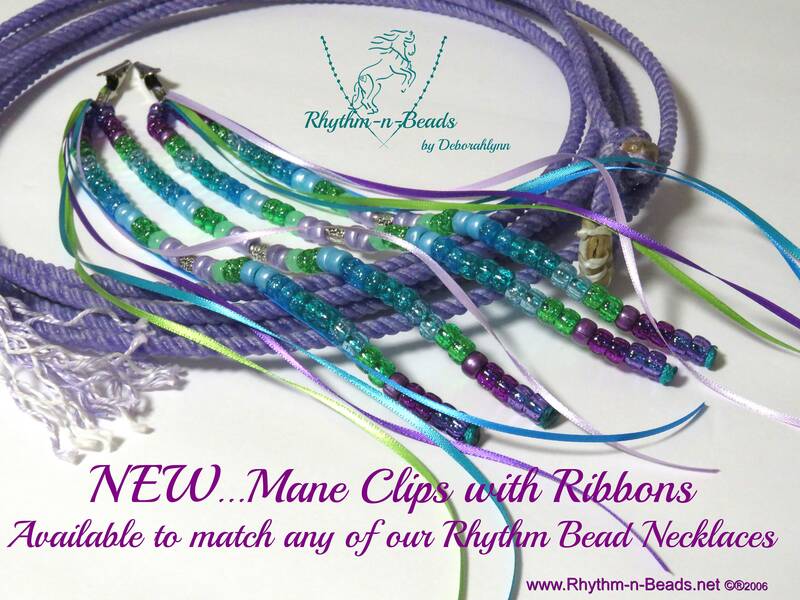 B) STATE THE RHYTHM BEAD NECKLACE DESIGN YOU WOULD LIKE YOUR MANE BEADS TO MATCH (browse through the 'rhythm bead necklaces' section to make your selection ...over 100 designs to choose from). 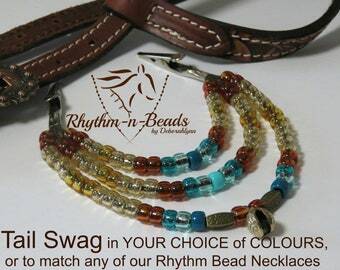 ----------------------------------------------------------------------------------------------------------------------------------------------------🐎 You can also request a Custom set of rhythm beads with a variety of accessories to choose from, and spice them up with optional horsehair tassels, pendants, & feathers.